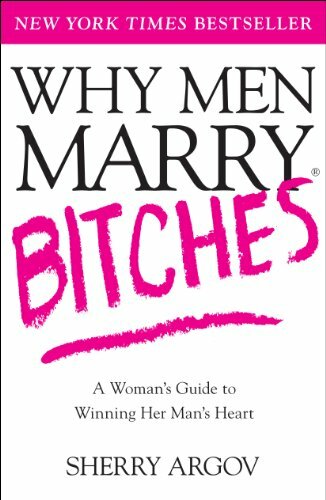 Never shy and always laugh-­out-­loud funny, Sherry Argov's is a sharp-­witted manifesto that shows women how to transform a casual relationship into a committed one. With the grittiest of girlfriend-­to-­girlfriend detail, Argov removes the kid gloves and explains why being extra nice doesn't necessarily mean he'll be more devoted. The guide shares real-­life "no holds barred" interviews with men who answer the following in raw detail: Whether you are single, married, recently separated, or just fed up with your family members telling you to fetch a husband because time is running out, is the must-­have guide that will show you how to exude confidence, win his heart, and get the love and respect you deserve. Returning to the "wickedly witty, lusciously sensual" (Booklist) world of her beloved Malory family, #1 New York Times bestselling author Johanna Lindsey sweeps readers away on a seductive adventure in which a detested marriage contract turns childhood enemies into passionate lovers. Nine years ago, Richard Allen fled England and his controlling father. Determined to live his own life, he took to the sea and settled in the Caribbean, joining a band of treasure-­hunting pirates and adopting the persona of a carefree, seductive Frenchman named Jean Paul to guard the secrets of his past. When he slips back into England to carry out an urgent task, Richard becomes infatuated with a married woman, Georgina Malory. But his reckless attempt to woo Georgina at a masked ball turns out to be the worst mistake of his life because it brings him face to face with another beautiful woman. Thrilled that her solicitors have finally come up with a way to free her from her betrothal contract to the . . .
Power of Positivity for Bipolar Disorder and Anyone Else. In the Power of Positivity, I present the numerous sources that were an inspiration to me and led me to a positive state of mind. Throughout her career, Cameron Diaz has been a role model for millions of women. By her own admission, though, this fit, athletic star wasn't always as health-­conscious as she is today. Her consumption of bad foods had an effect on her skin and her body. "If you are what you eat,­" she says, "I was a bean burrito with extra cheese and extra sauce, no onions.­" Learning about the inseparable link between nutrition and health was just one of the life-­changing lessons that sparked Cameron's passion to explore the best ways to care for her body. In she shares the knowledge she's gained both from personal experience and from consulting with health experts. Beginning with nutrition, Cameron explains why instead of fearing hunger, women should embrace their body's instinct for fuel and satisfy it with whole, nutrient-­dense foods. Cameron also explains the essential role of consistent physical activity. Many women think about exercise in terms of pounds lost or muscle tone gained, but . . .
What is the difference between choking and panicking? Why are there dozens of varieties of mustard-­but only one variety of ketchup? What do football players teach us about how to hire teachers? What does hair dye tell us about the history of the 20 century? 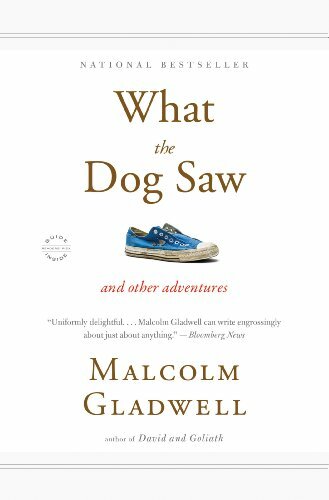 In the past decade, Malcolm Gladwell has written three books that have radically changed how we understand our world and ourselves:;; and Now, in, he brings together, for the first time, the best of his writing from over the same period. Here is the bittersweet tale of the inventor of the birth control pill, and the dazzling inventions of the pasta sauce pioneer Howard Moscowitz. Gladwell sits with Ron Popeil, the king of the American kitchen, as he sells rotisserie ovens, and divines the secrets of Cesar Millan, the "dog whisperer" who can calm savage animals with the touch of his hand. He explores intelligence tests and ethnic profiling and "hindsight bias" and why it was that everyone in Silicon Valley once tripped over . . .
At least one-­third of the people we know are introverts. They are the ones who prefer listening to speaking, reading to partying; who innovate and create but dislike self-­promotion; who favor working on their own over brainstorming in teams. Although they are often labeled "quiet,­" it is to introverts that we owe many of the great contributions to society--­from van Gogh’s sunflowers to the invention of the personal computer. Passionately argued, impressively researched, and filled with indelible stories of real people, shows how dramatically we undervalue introverts, and how much we lose in doing so. Taking the reader on a journey from Dale Carnegie’s birthplace to Harvard Business School, from a Tony Robbins seminar to an evangelical megachurch, Susan Cain charts the rise of the Extrovert Ideal in the twentieth century and explores its far-­reaching effects. She talks to Asian-­American students who feel alienated from the brash, backslapping atmosphere of American schools. She . . .
With realizes the need for finding the language and tools to deal with change--­an issue that makes all of us nervous and uncomfortable. Most people are fearful of change because they don't believe they have any control over how or when it happens to them. Since change happens either to the individual or by the individual, shows us that what matters most is the attitude we have about change. When the Y2K panic gripped the corporate realm before the new millenium, most work environments finally recognized the urgent need to get their computers and other business systems up to speed and able to deal with unprecedented change. And businesses realized that this was not enough: they needed to help people get ready, too.  has created his new book to do just that. The coauthor of the multimillion bestseller has written a deceptively simple story with a dramatically important message that can radically alter the way we cope with change. allows for common themes to become topics for . . .
From Rhonda Byrne, creator of the international bestselling movie and book,, comes, her latest world-­changing project and the most important to date. brings together the wisdom and insight of twelve of the most successful people living in the world today. By following their seemingly impossible journeys to success, reveals that each of us was born with everything we need to live our greatest dream—and that by doing so we will fulfill our mission and literally change the world. No matter where you are in your life today, no matter what age you are, it is never too late to follow your dream. And when you do, you will make the greatest discovery any human being can make—the discovery of who you really are, and why you are here. Once, there was a hero.